In Lessons 2 and 3 you have learned your turns on flat water. 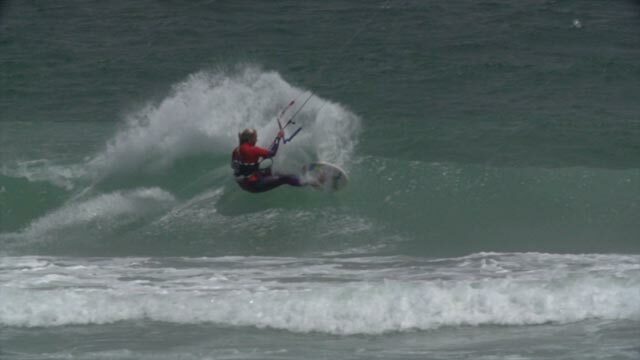 These turns form the basis of wave kitesurfing. 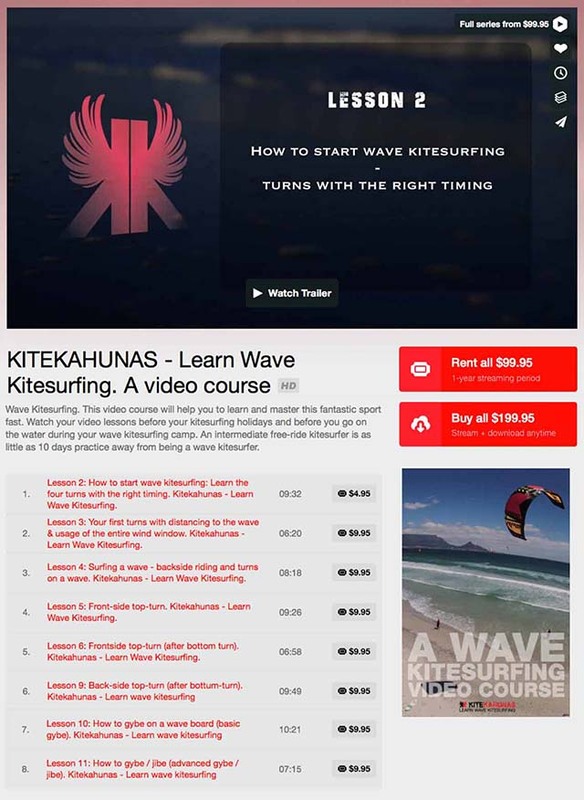 In Lesson 4 you have surfed your first waves and you will have discovered, how rewarding wave kitesurfing is. While doing so, you are in great harmony with the forces of nature, constantly reacting. While on the water your body becomes flushed with adrenaline, and the hours thereafter you will have felt what the surfers call being stoked. You have enjoyed the pleasure of backside wave riding. 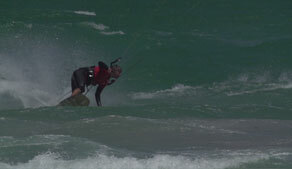 - The more technical maneuvers of wave kitesurfing: Front-side top-turn. 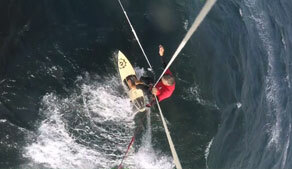 - How to start learning this difficult front-side top-turn maneuver "stand-alone". 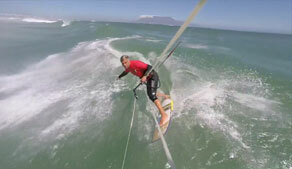 - The best and easiest wind direction to start with the front-side top-turn. - How to look spectacular for observers. 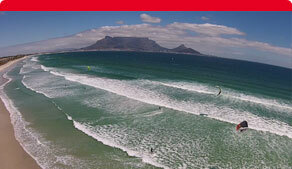 - How to read the waves, when to take the wave and how to avoid the potential dangers of a wave. 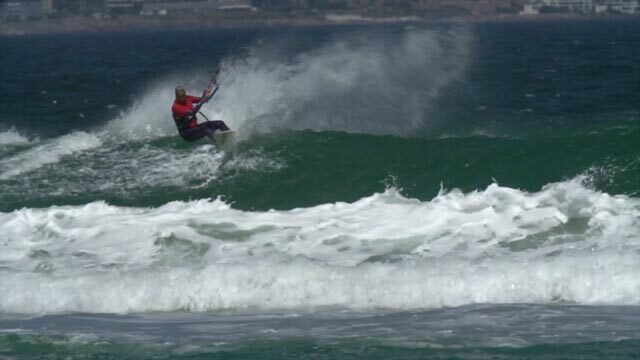 - Timing between the wave, movements of your board, movements of your kite. - How to move your kite. 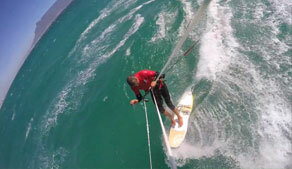 - How to throw maximum spray and how to enjoy the top-turn to the maximum. From here on, the content of your lessons becomes more technical. The main topic of Lessons 5 and 6 is the front-side top-turn. This maneuver, performed with lots of power and speed, creates extreme joy for the rider and it also looks spectacular for observers from the beach, mainly because the rider can create a lot of spray from the wave during the front-side top turn. 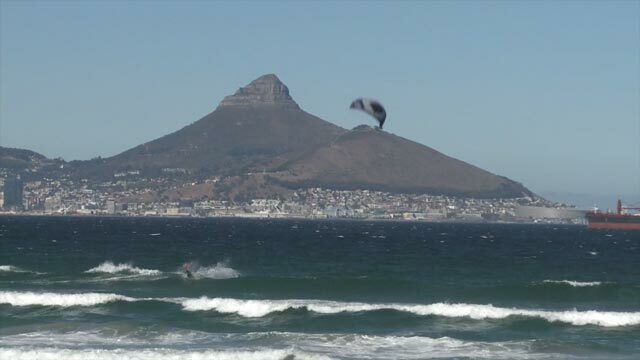 A well-performed frontside top-turn when kitesurfing in waves is a highly difficult maneuver, which requires a lot of practice, perfect co-ordination and timing between a variety of movements. Later, and as we will explain in Lesson 6, you will usually initiate the top-turn maneuver with a bottom-turn in front of the wave. You start with a bottom-turn to generate this extra flow and power that you will need for a perfect top-turn. But for easier learning, we simplify matters first, and begin with a top-turn without the bottom-turn. We will talk about the best and easiest wind direction to start with. You will learn in this lesson how to approach the wave. You want to reach the apex of your turn in the pocket of the wave, and this Lesson will teach you how. 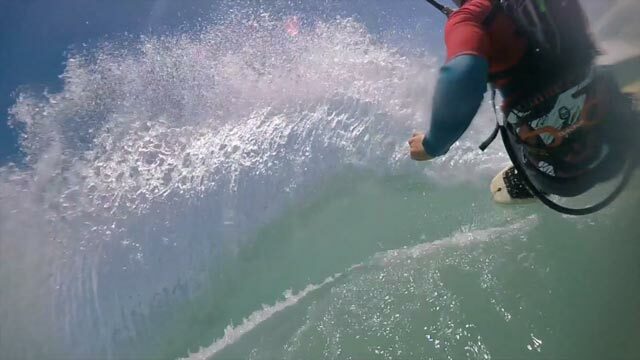 During the top turn, you will experience high G-forces on your body and the spray you can throw during this maneuver with the tail of your board and with your fins reflect the strong G-forces during the top-turn. We will teach you, how to best deal with this, so that the spray you will throw during the top-turn will get highest. This Lesson will teach you how to read the wave correctly. Also which wave to select to practice the top-turn and when you want to reach the wave at the peak of the wave. Predicting the shape of the wave and finding this peak point requires experience and practice. The Lesson will talk about what happens if you take the wave too early and if you take the wave too late. You will learn about potential dangers of the waves, so as not to injure yourself. So as you see, timing is everything when you perform a top-turn. 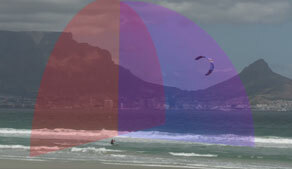 You not only need to carefully co-ordinate the timing between moving your kite and controlling your board, but you also need to gauge the timing, when the wave will break, and perform your turn at the point on the water surface, where this will happen. 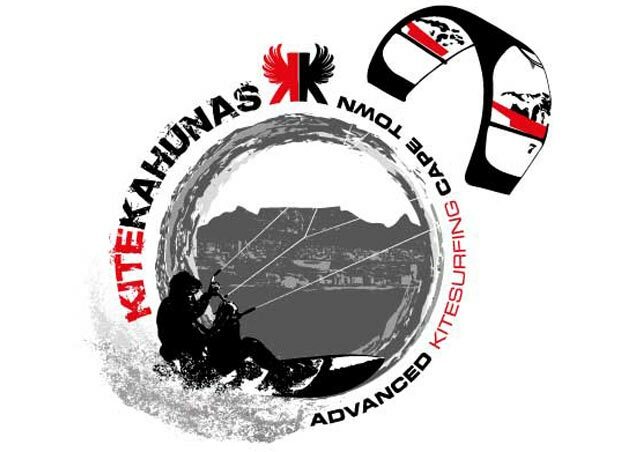 This Lesson will teach you how to move your kite, and how you give your kite your steering input before and during the front-side top-turn. It will also teach you, how to turn your board during the top-turn. You want the tail of your board and your fins throw spray off the lip of the wave, and this Lessons will teach you how. This spray is particularly impressive to watch by spectators, but is even more enjoyable for the rider who is performing the move. Throwing the spray is one of the most awesome scenes and spectacles of nature that you can experience. You can ride the front-side top-turn also more powered and spectacular from coming out of a bottom-turn maneuver. The latter we explain in Lesson 6.